Moving from Philadelphia, U.S.A. to Brisbane, Australia on a one-way ticket, Veronica began her PhD at the University of Queensland in 2014 under the supervision of Prof. Ove Hoegh-Guldberg, A/Prof. Sophie Dove, A/Prof. Gene Tyson, and Prof. Brian Fry (Griffith University). Veronica’s interest in deep reefs was inspired by the research in the deep-sea ecology lab of Dr. Erik Cordes (Temple University), where she was a research assistant and lab manager since college graduation. Veronica graduated from Johns Hopkins University (Baltimore, U.S.A.) with a B.A. in Biology in 2012. Veronica has a wide variety of research interests, from the shallow reefs where she can scuba dive to the proper deep sea. 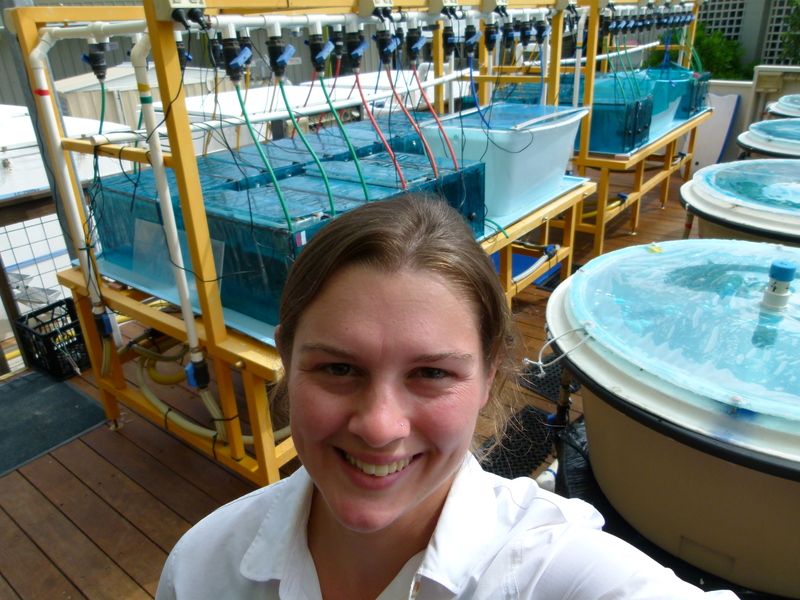 Her PhD research is focused on understanding how the trophic ecology of shallow and deep corals may be influenced by oceanographic processes such as upwelling, which brings important nutrients to shallow waters. Such nutrient fluxes may be important to the coral holobiont, which can utilize both dissolved and particulate food sources. Veronica is interested in learning how the coral holobiont, including its associated microbial communities, may respond to natural nutrient fluxes in coral ecosystems. 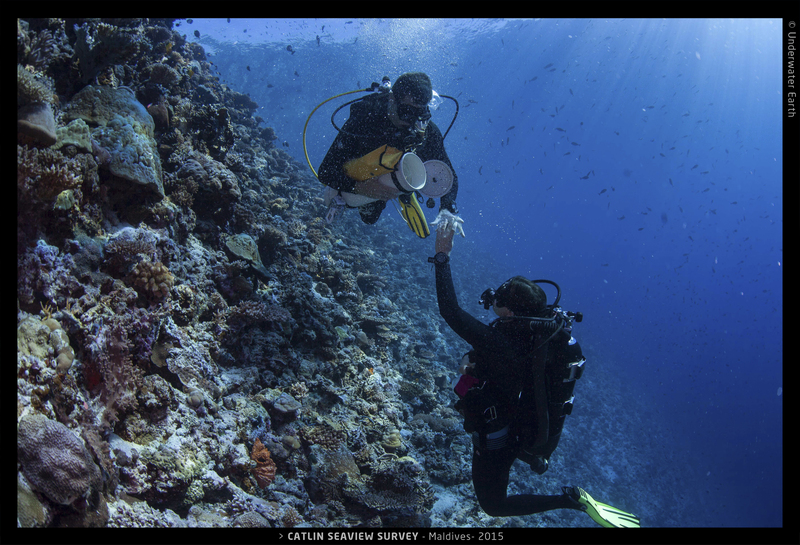 As an XL Catlin Seaview Survey Ocean Scholar, Veronica had the opportunity to conduct research in the Maldives, an archipelago in the middle of the Indian Ocean. What makes the Maldives particularly unique is the atolls’ location upon an oceanic ridge and the seasonally-reversing monsoons. This combination of bathymetry and climate makes the Maldives a great place to study the influence of oceanographic processes on coral reefs. Her research is focused on understanding how environmental differences between the shallow and deep reef may influence coral holobiont metabolism and composition. Veronica was thrilled to recently present her work at the 13th ICRS 2016 in Honolulu, Hawaii! Radice VZ, Quattrini AM, Wareham VE, Edinger EN, and Cordes EE (2016). Vertical water mass structure in the North Atlantic influences the bathymetric distribution of species in the deep-sea coral genus Paramuricea. Deep-Sea Research Part I: Oceanographic Research Papers. 116, 253-263.